a 'public access' area - such as Parks, Pedestrian Precincts, etc. or from the person who owns the land, where it will be installed). as well as a significant increase in 'litter' due to their popularity ! and then again when people within the area request its removal. prefer to tell customers rather than being dishonest with them ! having more knowledge of your own local area than ourselves. 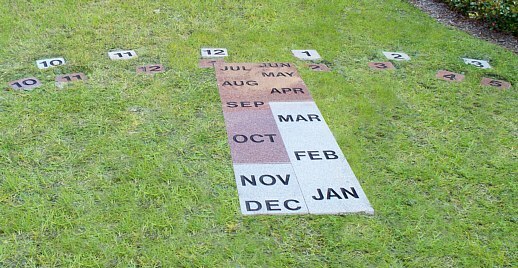 advice, on any particular proposed 'Human Sundial' installation. 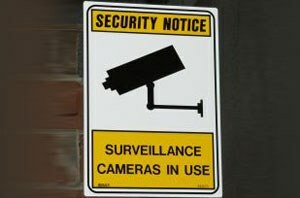 installations be monitored, via CCTV, to avoid such a possibility. addicts (plus their dealers), prostitutes, vagrants, alcoholics, etc. unless we obtain a written 'legal disclaimer' from its land-owner. these could also unfortunately attract paedophiles into that area. NOT be very happy having this 'feature', in their neighbourhood ! authorities), for a combination of those reasons indicated above. 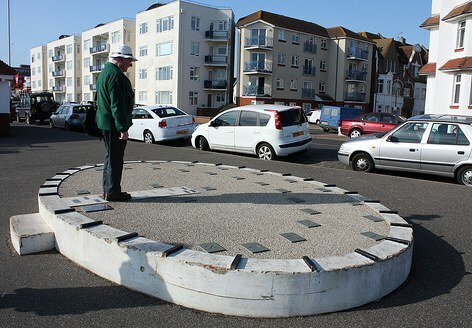 before proceeding with the creation of a public 'Human Sundial'. local area, or even 'de-valued' their own property located near it. attract drug addicts, paedophiles, or other undesirable people" ! to establish if local residents will be happy to have this feature. to confirm they have no objection to the proposed "Sunclock". advise you on any similar regulations within your own country. with grass-cutting) - plus allowing vehicles to run over it, as well. whilst also providing a 'bench-type' seating area around its edge. 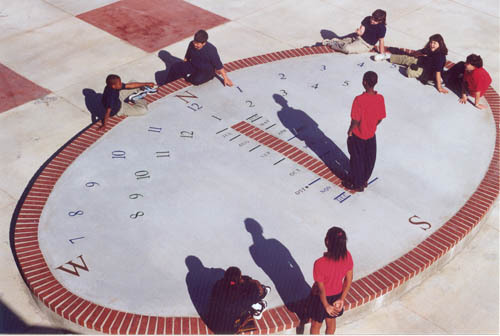 plus they are popular as courtyard sundials for "Stately Homes". That lower photograph is also used in an American school-book. 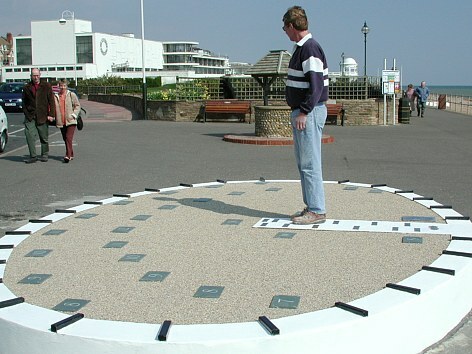 the promenade "Sunclock" at Bexhill-on-Sea, East Sussex, UK. 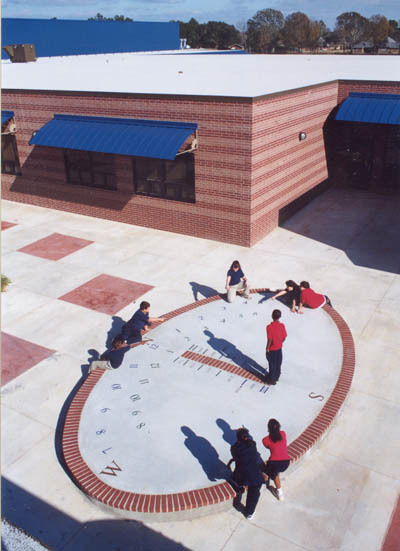 Here is a closer view of this layout, with the "Sunclock" on top. who then subsequently sued the land-owner for compensation. but please contact us if you need advice on a proposed design. 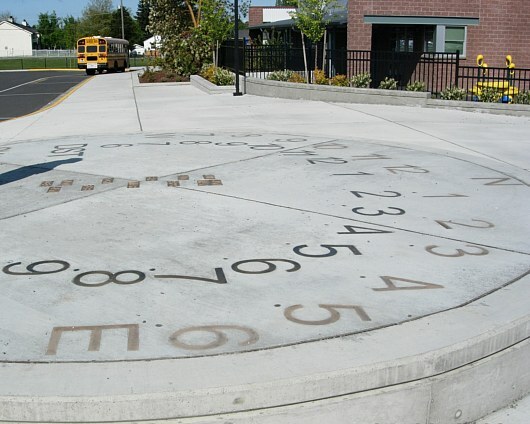 layout - located at the Mount View Elementary School, Seattle. we would not recommend using this style in a School location ! of the possible 'risks and dangers' involved, with such a layout. be a low platform - with some 'stadium-type' seating at the edge. very popular, in what is known as the "outdoor classroom" area. 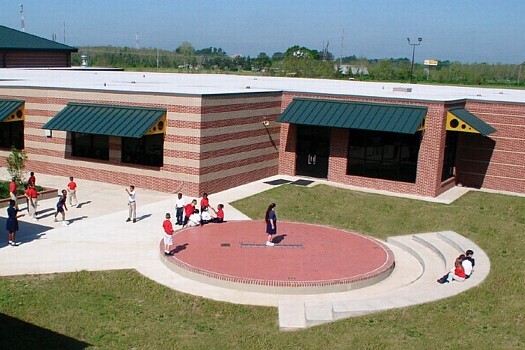 various school activities such as story-telling, drama events, etc. It also makes a perfect gathering-point, for any 'fire alarm' drills ! "Sunclock" layout which is 'raised', above normal ground-level. (especially if being installed on an area with 'hard-landscaping'). 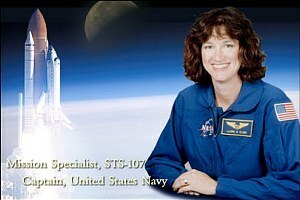 but are still happy to create this interactive educational feature. from the 'client', and not just (for example) a photo-copy or fax. or as conversation-pieces to increase a property's selling value ! 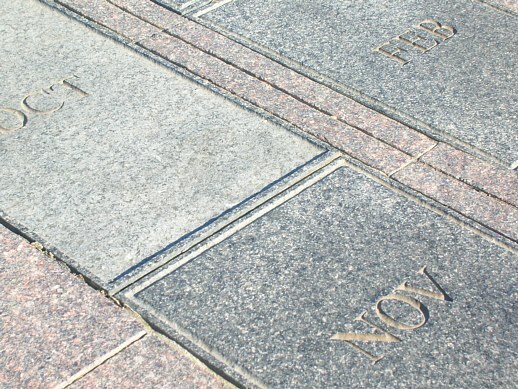 For example, below is a picture of the "Space-Shuttle Memorial"
when the Columbia broke-up during 're-entry', in February 2003.
to distinguish the months of Standard time and Daylight-saving. 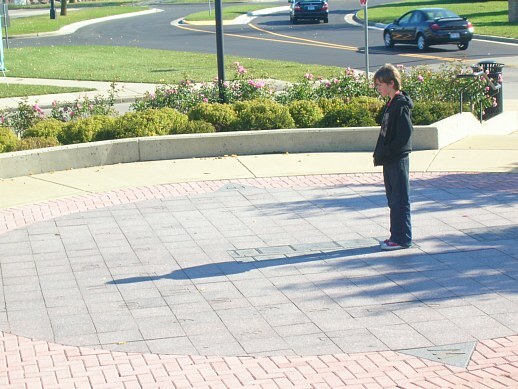 nice examples of using granite to make these Human Sundials. which was Laurel's favourite group of stars in a night-time sky. and Daylight-saving parts, using any different colour or texture. photograph very clearly illustrates that 'contrasting' technique. the same colour as the inner ring, (for 'Daylight-Saving' Time). All of the other months match its outer ring, ('Standard' Time). The layout, shown above, was created by artist George Gadson. 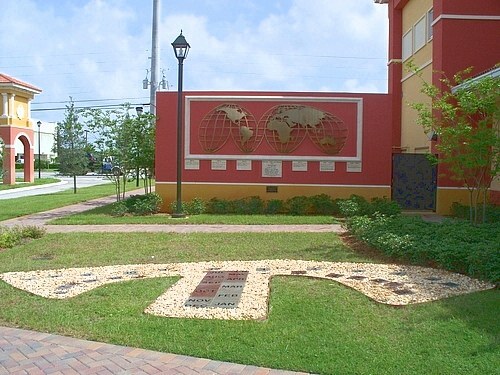 via telephone, on: (+) 954 822 5425 - in Tamarac, Florida, USA. after a 'gravelled' area had been added, around the "Sunclock". 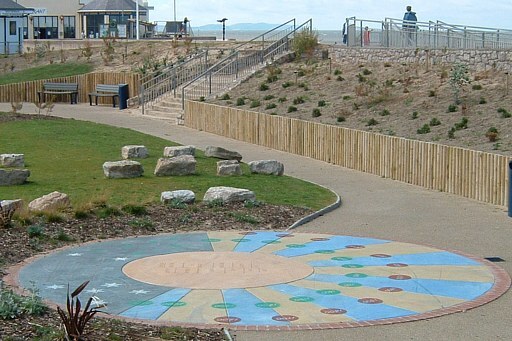 within a public sea-front area at Prestatyn (northern Wales, UK). as avoiding the potential 'risks' of some people being injured ! so you can be sure that it would show the correct clock time. when compared with some of the other 'conventional' types.